Grasslands are simply places where there is not enough rain to grow a forest, and too much rain to be a desert. The main plants that grow here are — you guessed it – grasses. Wildflowers also grow, along with the occasional tree. In northern climates, the grass stays short because these areas have cold winters and dry, hot summers. In southern climates, the grass grows very tall because these areas have warm weather and periods of very wet weather followed by dry weather. Grasslands harbor many species of life. 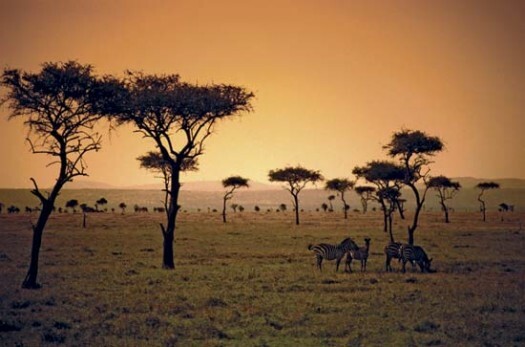 In Africa, you’ll find lions, elephants, zebras and giraffes living on the grasslands. In America, coyotes, antelope, rabbits and rattlesnakes are common. Grasslands are usually flat and have fertile soil. In the U.S., most of our prairies have been turned into farms. America has some of the richest farms in the world. 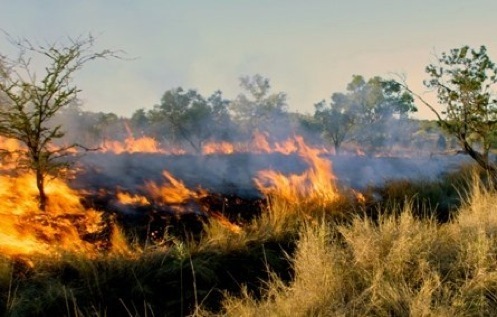 Fires on prairies and grasslands are common. After a fire, the grass grows again and comes back even thicker and healthier. In Africa, you’ll find lions, elephants, zebras and giraffes living on the grasslands. In America, coyotes, antelope, rabbits and rattlesnakes are common. A video explaining about grasslands. Question: How much of the earth is covered in grasslands? Answer: 25 percent of the earth is grasslands. Much of these grasslands are gone, though, due to farming. Enjoyed the Easy Science for Kids Website all about Grasslands info? Take the FREE & fun Grasslands quiz and download FREE Grasslands worksheet for kids. For lengthy info click here. Declan, Tobin. " Grassland Facts for Kids ." Easy Science for Kids, Apr 2019. Web. 21 Apr 2019. 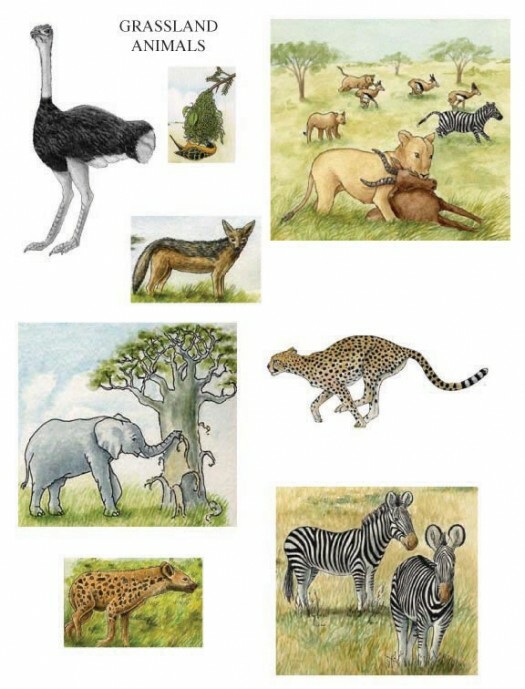 < https://easyscienceforkids.com/all-about-grasslands/ >.